I had so much hope for this product. I have always had the issue of grease roots, but really dry and damaged ends. 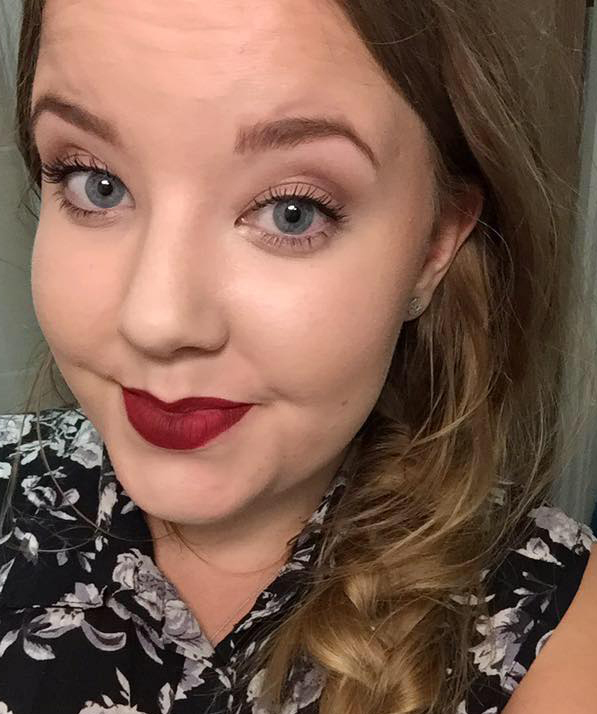 I always only shampoo my roots and only condition the ends, as if I were to condition my roots my hair would be greasy again before I even dried it! 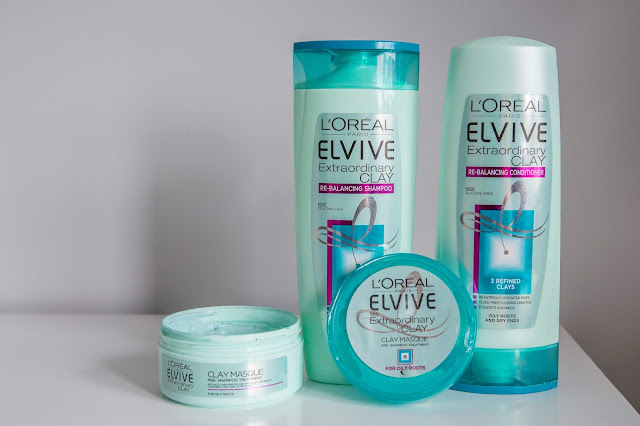 When I saw that Loreal Paris Elvive had released Extraordinary Clay rebalancing shampoo for oily roots and dry ends, I thought my prayers had be answered. Unfortunately I could not be more disappointed about these products. I purchased the shampoo and conditioner and also the clay masque. Now this may not be the same for everyone, it just may not work with my hair. Starting with the masque firstly the smell is not too pleasing so I was a bit worried my hair would be left smelling like that. The directions say to apply to roots directly and massage in section by section until you've covered the whole scalp. I certainly would not be able to cover my whole scalp else it would have run out after only just two washes and considering I spent around £6 on this I want more use out of it. It tells you to leave on for 5 minutes and then rinse whilst still massaging the head until the water runs clear. The issue I have here is the water may still run clear even though you still have masque in your hair, which I didn't realise. I continued to shampoo and condition, got out of the shower dried myself and went into my bedroom to discover that a lot of my scalp was still bright blue. I couldn't believe it I had thoroughly rinsed it out, yet so much was still stuck to me so I had to go wash it out all over again. I tried the masque only twice as trying to get it off of your scalp and wash it out was too much effort for my liking, even when using a mirror I would miss bits. I have tried the shampoo and conditioner with both the pre masque and without and honestly it did not make any difference. I really cant stand this shampoo as it literally does the opposite to what it is intended to do. After washing my hair with this shampoo my hair has sometimes felt more greasy than before I even washed it! Another time it did wash it to be fair but it was only the end of the day before it was greasy again. Now I haven't just used this once and judged it like that I have used the whole bottle up as I kept thinking I shall give it one more chance. 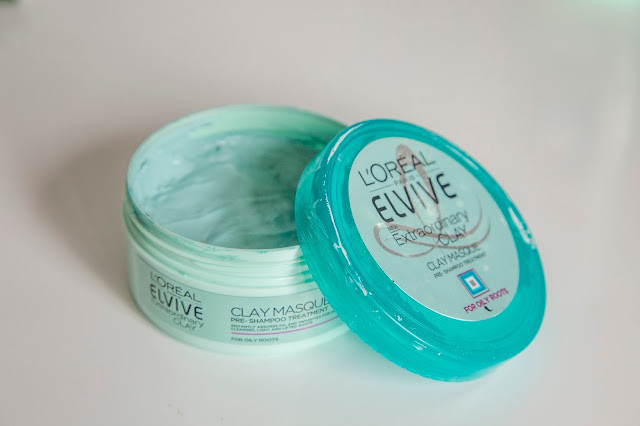 The conditioner did not really do anything either, just seems like your standard Elvive conditioner. I feel like my money was completely wasted on these products and I certainly will not be repurchasing. I am mainly disappointed because I absolutely love the Extraordinary Volume shampoo and conditioner, therefore has high hopes for this.